Before joining Davis Law Group in 2017, Maridith Ramsey spent five years working on personal injury cases at Phillips Law Firm, advocating for victims and managing mass tort litigations including defective medical device and defective drug cases. While there, she also continued to work with Family Law CASA on a pro bono basis, with a focus on protecting the rights of children from low-income homes during family disputes. Maridith graduated with a B.S. from the University of South Carolina before enrolling at Loyola Law School. During her time in school, she focused primarily on civil litigation. By the time she graduated with a J.D., she had worked as a legal extern for the Disability Rights Legal Center, as well as prominent Southern California trial firm, Engstrom, Lipscomb & Lack. Post-graduation, she received a Loyola Law School Fellowship which allowed her to work with the non-profit organization Family Law CASA of King County. Maridith is a member of the Washington State Bar, the American Bar Association, and an Eagle member of the Washington State Association for Justice. Davis Law Group chose Maridith not only for her comprehensive knowledge of Washington State personal injury law, but also her unflagging devotion to justice as an advocate for injured victims and vulnerable children. 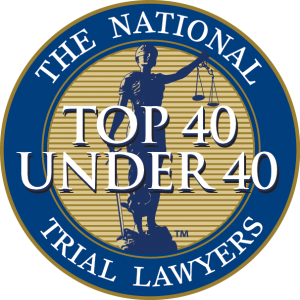 Maridith Ramsey has been selected for inclusion into The National Trial Lawyer's Top 40 Under 40 Civil Plaintiff Trial Lawyers in Washington State, an honor given to only a select group of lawyers for their superior skills and qualifications in the field. Membership in this exclusive organization is by invitation only, and is limited to the top 40 attorneys in each state or region who have demonstrated excellence and have achieved outstanding results in their careers in either civil plaintiff or criminal defense law.